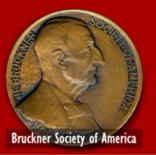 The Bruckner Society of America has awarded the Julio Kilenyi Medal of Honor to William Carragan and Benjamin Korstvedt in recognition of their important achievements in promoting a better understanding and appreciation of the music of the Austrian composer Anton Bruckner (1824-1896). The awards were presented on September 11, 2010 by John F. Berky, Secretary of the Society and Editor of the website www.abruckner.com, at a yearly gathering of Bruckner enthusiasts in Connecticut. These medals were awarded in acknowledgment of the important contributions both Carragan and Korstvedt have made to the study and performance of Bruckner's symphonies. Both of the recipients are contributing editors with the Anton Bruckner Collected Edition, which is published by the Musikwissenschaftlicher Verlag of the International Bruckner Society in Vienna. In 2005 Carragan published two editions of Bruckner's Symphony no. 2, including the previously-unknown 1872 version, and in 2004 Korstvedt published the first critical edition of the 1888 version of the Symphony No. 4, the "Romantic". Both scholars have also published numerous essays and studies that have shed new light on the life and work of the composer, known primarily for his large-scale symphonies. William Carragan is a retired professor of physics who has written extensively on Bruckner's music, with publications in the Bruckner Journal and elsewhere. In addition to his double edition of the Second Symphony, he is known for his completion of the Finale to Bruckner's Ninth Symphony which the composer left in sketches when he died in 1896. His completion was first performed in Carnegie Hall by the American Symphony in 1984, and most recently performed in 2010 at the Ebracher Musiksommer in Germany by the Philharmonie Festiva conducted by Gerd Schaller. A CD of that performance is to be released soon. Benjamin Korstvedt is a professor of music at Clark University in Worcester, Massachusetts. In addition to his critical edition Symphony No. 4, which was recently released in a recording by Osmo V nsk and the Minnesota Orchestra, Professor Korstvedt is known for his path-breaking research that has led to a reevaluation of many of Bruckner's originally published scores and revealed the depth of the politicization of Bruckner's music in the Third Reich. He is the author of a monograph on Bruckner's Eighth Symphony (Cambridge University Press, 2000) , as well as scholarly articles on Bruckner published in 19th-Century Music, The Musical Quarterly, The Cambridge Companion to Bruckner, and Bruckner Studies, among others. In presenting the awards, Berky noted the major contributions that both Carragan and Korstvedt have made over the years and made particular mention of the generosity with which they have shared their insights with enthusiasts as well as the scholarly community. 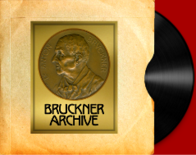 The Bruckner Society of America was founded in 1931 with the mission to increase the awareness of Bruckner's music in the United States. 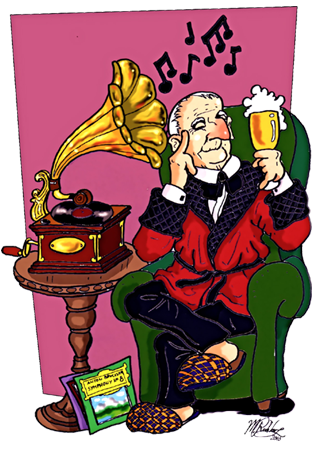 The Society published the journal "Chord and Discord" until 1998, as well as several books on Bruckner and Gustav Mahler. Those publications are now all available at www.abruckner.com.